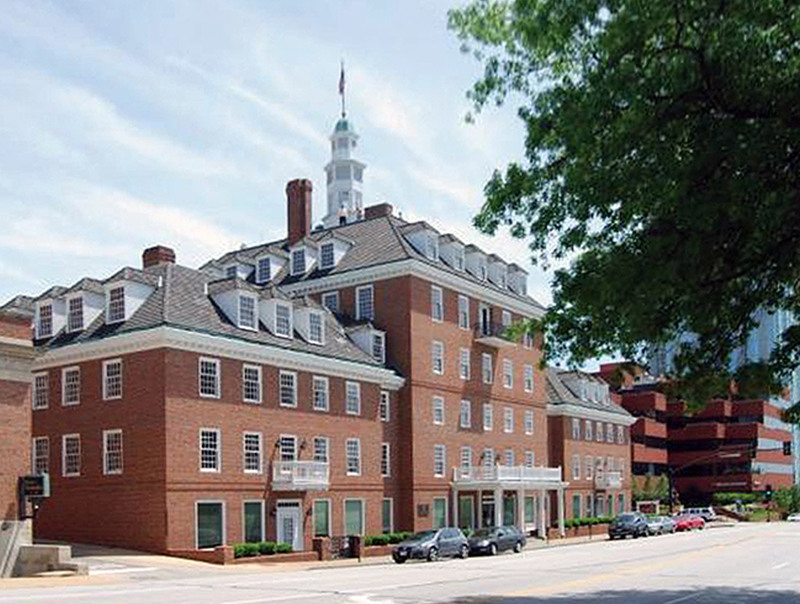 The Clayton Police Department occupies a 22,000 SF portion of an historic six-story structure in downtown Clayton, Missouri. The police department and municipal court share primary public access in this facility that will also house other municipal government departments. Care was taken to maintain the historic character of the existing facility while accommodating all police and court operations. Sustainability was also an important goal for the City, with this project designed to meet LEED Silver certification. The project includes numerous sustainable strategies, including the largest non-utility solar panel array in the State of Missouri. The police and court portions of the project were planned and designed by Police Facility Design group in association with The Lawrence Group of Saint Louis. Completed in early 2013, the project was delivered using the construction management method with Paric Corporation.